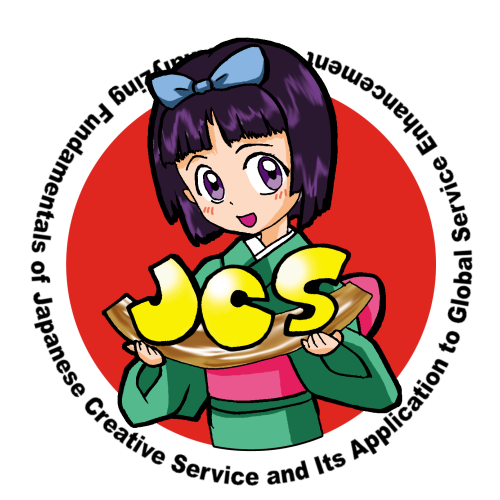 The project "Analyzing Fundamentals of Japanese Creative Services and Its Application to Global Service Enhancement" (JCS) is a part of R&D, the Focus Area: Service Science, especially Solutions and Foundation-oriented "Service Sciences" Research. The project analyses the value creation for Japanese Creative Services, namely the areas of Japanese Cuisine, Shinise (organisations of long-standing), Traditional Cultural Activities, and Cool Japan. In order to represent the value co-creation patterns of those services, we need a meta-modelling approach because of the utilization of implicit context within service interactions. For handling the JCSs’ characteristics more generally, we developed a modelling method where we divide up service communications into regular handling and exceptional ones and utilize early/late binding concepts in programming, i.e. early binding is for regular handling communications and late binding is for exceptional ones. By analyzing service communications based on this concept, we can discuss which part of communications should be supported/trained or replaced by IT/machines more systematically.